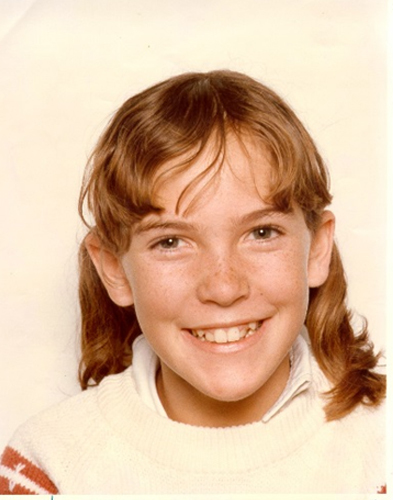 Lisa MOTT was last seen at approximately 8.30 pm on Thursday the 30th of October, 1980 in the main street of Collie where she was to wait to be picked up by a family friend and returned home after a basketball game. Despite extensive inquiries by Police and family and comprehensive media coverage, there has been no information regarding her whereabouts since then. Concern is held for her welfare. In 2000, Western Australian police reopened the case. 12-year-old Lisa was last seen speaking to a person in a yellow panel van in Forrest Street after a basketball game at about 8.30pm on October 30. Retired CIB detective Reg Driffill, who headed the investigation into Lisa's disappearance, believes serial killer David Birnie* should be interviewed by police about the disappearance. Birnie and his de facto wife Catherine Birnie were jailed for life in 1987 for the abduction and murder of four young women. A report in The West Australian said Mr Driffill had interviewed the Birnies in 1986, but both denied any involvement in Lisa's disappearance. Mr Driffill said David Birnie had lived in Bunbury (near Collie) in the late 1970s and was working in Collie as a crane driver at the time of Lisa's disappearance. "He has had all these years to think about it and if he was involved he may now consider assisting police," Mr Driffill said. "He was picking girls off the street (when he committed the murders) and the way Lisa disappeared was a similar thing." Det-Supt David Caporn, of the major crime division, said an investigation team was following new leads in the case. He had spoken to Mr Driffill about aspects of the case, including information relating to the ownership of yellow panel vans. Det-Supt Caporn said police were reviewing a number of unsolved crimes, including the disappearance of Lisa Mott. If you have any information on this matter, Please contact CrimeStoppers 1800 333 000. *Editor's note - David Birnie has since died in gaol.